Odessa Boyd was born in Monroe, Louisiana on January 4, 1946, to Jim and Aslee Boyd. She was the fifth child of nine, with seven sisters and two brothers. She was baptized later in life at the age of 56 as a member of Church of Christ in Tallulah, Louisiana under the leadership of Pastor Alonzo Lawson. Mama was sweet, loving, kind, and very outspoken. She would tell YOU like it is, with a SMILE on her face. She would help everybody, but (Ms. OD didn’t play) Mama loved talking, sitting outside, and she was always down to ride, but she would tell you how to drive. Mama your “Fab Five” will love you forever and everybody will miss dialing “318-574-0722”. She was preceded in death by her parents, Aslee and Jim Boyd, sisters: Elise Boyd, Ella Boyd, Minnie Lee (Ms. Sally) Boyd, and Bertha Jacobs; brother: James Boyd. 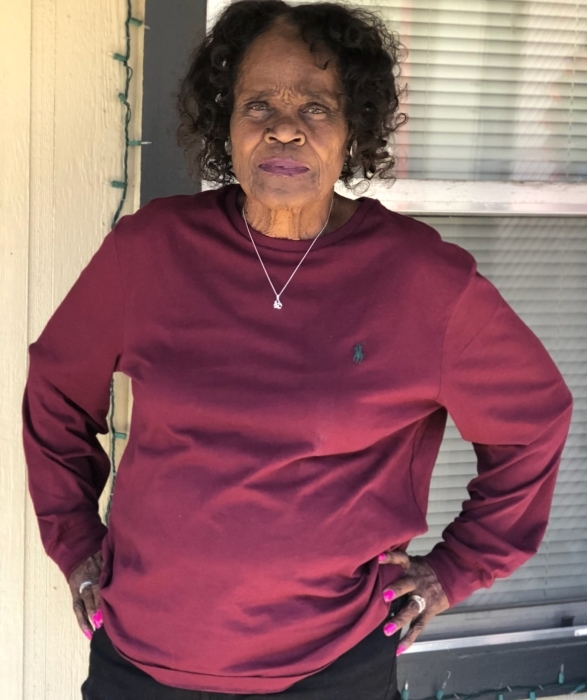 Odessa Boyd leaves to cherish her loving memories: her children, three daughters, Betty (Miss) Boyd of Las Vegas, NV., Sharon (Bay) Guice (Sammie) of Tallulah, LA., Amy Boyd of Las Vegas, NV. ; two sons: Michael Boyd of Las Vegas, NV., Danny Boyd of N. Brookfield, MA; brother, Robert Boyd of Oakland, CA., One goddaughter: Audrey (Tonie) Johnson; her “Riding Buddies” who were near and dear to her; eleven grandchildren and eight great grandchildren; a host of nieces, nephews, and friends.